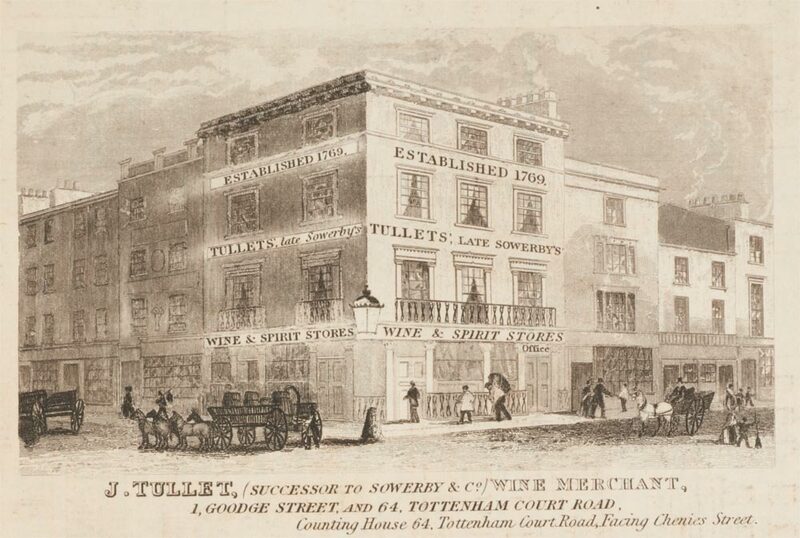 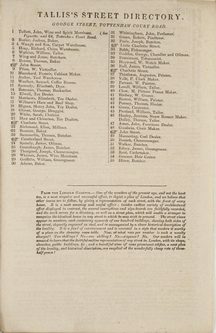 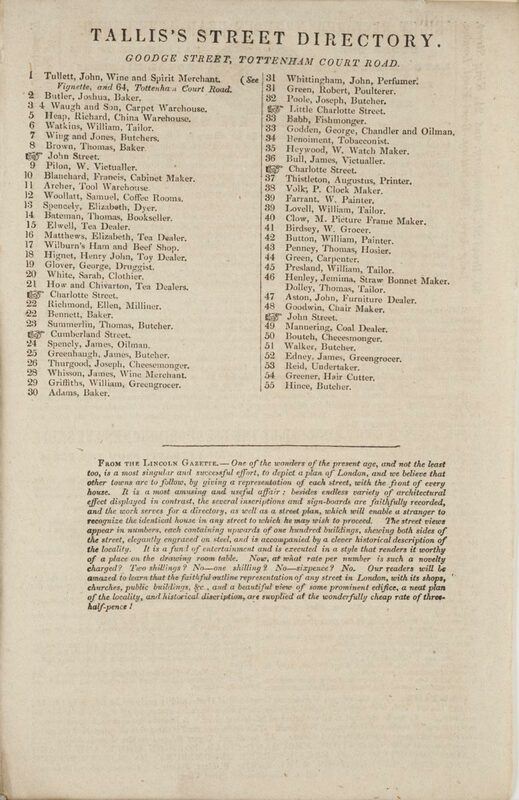 Issue number 54 of Tallis's 'London street views' showing nos. 1-55 Goodge Street, Tottenham Court Road. 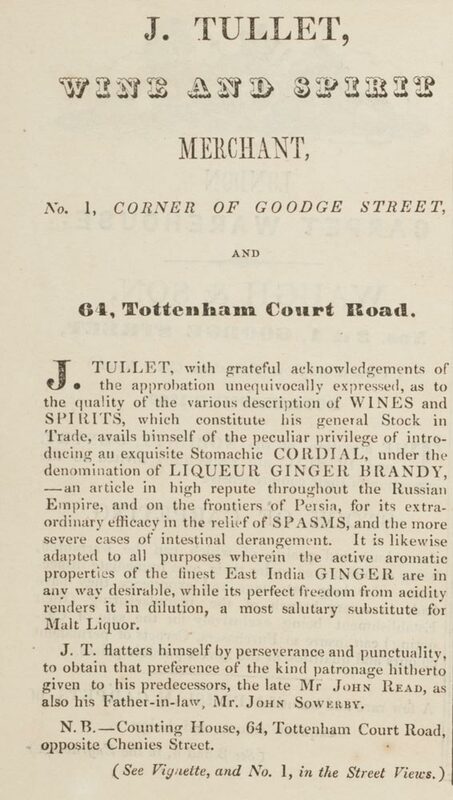 Goodge Street was built on an area of land known as Crab Tree Field which was owned by John Goodge. 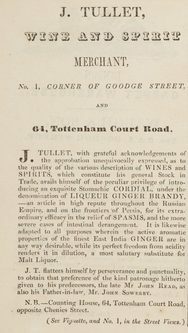 Goodge's sons developed the land in the 1740s.